The percentage of outstanding peer-to-peer (P2P) loans in arrears dropped sharply in the year to June but the value of loans written off increased significantly, data released by the Financial Markets Authority (FMA) shows. The FMA, which licences P2P lenders, has published its second statistical report on New Zealand P2P lending. It uses data from an annual information return from the lenders to provide a snapshot of the sector for the year to June 30. 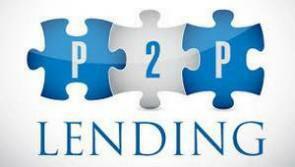 This shows the value of outstanding P2P loans increased $177 million, or 57% in the June year to $489 million. And it shows business loans grew to 21% of the total outstanding, up from just 10% a year earlier. The balance is personal loans to individuals. The total value of loans in arrears increased $5.7 million, or 28%, to $26 million. However the percentage of loans in arrears dropped to 4.8% from 8.6%. The value of loans written off jumped $5.4 million, or 64%, to $13.9 million. Registered investors increased 5,379, or 26%, to 26,123. There were 10,176 open investments, up from 7,991. There was a 72,520, or 35%, increase in registered borrowers to 279,750. Harmoney, the biggest licensed P2P lender, sources 75% of its funding/lending from the Heartland and TSB banks, plus institutional and wholesale investors. The FMA statistics show 84% of loans by value paying interest rates of between 8% and 24.99%. Meanwhile, the vast majority of retail investors have invested less than $5,000. I've had $2k in since the start. Recently upped it to $5k since my initial experiment was successful. I'm getting a 14% return after bad debt losses. Definitely recommend, and I'm happy to see it as good competition against the credit card companies. However expect some losses in the next big financial crisis which feels like we're on the edge of right now. Also realise you have to wait for people to pay off the loans to pull your money out, so it's not the most liquid of investments. Yeah,I have a ~$2500 in there now, starting trying it out December last year with $1000. Getting a "Realised Annual return" (RAR) of 10.7%, even after my first couple writedowns recently dropped it from about 12.5%. Avoiding the crap end of the scale, mostly BCD grades. A's don't pay enough, E&F too risky. Not overly picky about choosing loans, just look for obvious warning signs and avoid those ones. The obvious downside is that getting your money out depends on payments coming in, so its a long term thing, you can't bail out if you don't like it. Have been drip feeding into various (Harmoney, LendingCrowd and SquirrelMoney), since the start. I've been running an average of around 10%, after defaults. Seem to be more investors than borrowers lately, and can be hard to find investments. I have a bit more in Harmoney than the others above. Getting a RAR of just below 12%. The write offs for certain credit grades or certain size of loans are not worth it and I filter them accordingly. I'm interested in your certain size of loans comment.. is it the big ones that you avoid, or is the small ones? I'm guessing the small ones because anyone stupid enough to borrow say $2k when it comes with a $450(?) fee is not too bright or rather desperate. Quite the contrary. I noticed an anomaly with large loans. Say you get in a cash flow bind and you need $2000 (using your example). It's unfortunate and terrible that there's a $450 fee plus interest but at say 15% interest the payments would be ~$58.30 per month. The effective interest rate is terrible but the monthly payments are in the range of a mobile phone plan. Say you need $40000 you pay $962.30 per month on the same basis as above. Ok that payment is like a small rent payment. Say during the repayment term you get in another cash flow bind and need to rewrite the loan to $70000. Based on the same terms above you now need to repay $1676 per month. With a loan extended to the largest amount the payment may be large enough to eat up a large portion of your income, or whatever is left after other debt payments. Once loans are rewritten to the limit they could be good loans, or they could be someone that doesn't understand that they have been in a cash flow crisis for some time. The bigger the monthly payment the riskier the loan in my opinion. I do not think loan size is an absolute indicator but I now take it as a potential warning sign and also a questionable activity to enable someone to be buried in so much debt. Okay, thanks. I generally look at repayment to income ratio, and of course residential status as a factor too. You have to use a combination of items to get a better idea if it is a good idea or not. Some of the people I know who have been involved in P2P lending for many years in the US often filtered on the basis of spelling a grammar, but that doesn't seem to be a strong indicator, or an indicator at all here. I'm a bit more suspicious of someone simply stating they are buying a computer (obviously for personal use) and they are borrowing $10000. Anyone a lender buying houses? (using non bank mortgages, e.g. resimac, LendMe/zagga...)? I know people who use Zagga to invest and many of the loans on their site are for property purchases or refinancing. I invested $18000 over 3 years ago. I invest only in A grade loans(80%) and B grade(20%). My RAR is 10%. The loans written off amount to $176. That's satisfactory,but loans have become increasingly hard to obtain and I have gradually been taking capital out. I invested $2000 dollars 1 year ago today, as test of sorts with Harmoney. Overall, provided you read into each borrowers earnings and don't rely on the 'auto lend' function it seems to work, and very well. I avoid all grades below C - as you would expect, this is where that $44.38. The larger your initial investment, the less risky the returns on the interest to the charge offs are of course, but not everyone wants to lock up the advised 5K minimum for 3-5 years. ^Seems other posters back up my figures in a way too. Good to know others are having positive experiences with similar amounts! Bitcoin back near its recent lows again, dropped 5% in the last three hours. I have a few grands invested in Harmoney from the beginning. RAR around 15% I'm picky with the loans but happy with the result. Anyone wants to give me an hedge fund manager job?